Llanfechells Trio of Standing Stones on Anglesey - an ancient monument on the island of Anglesey. 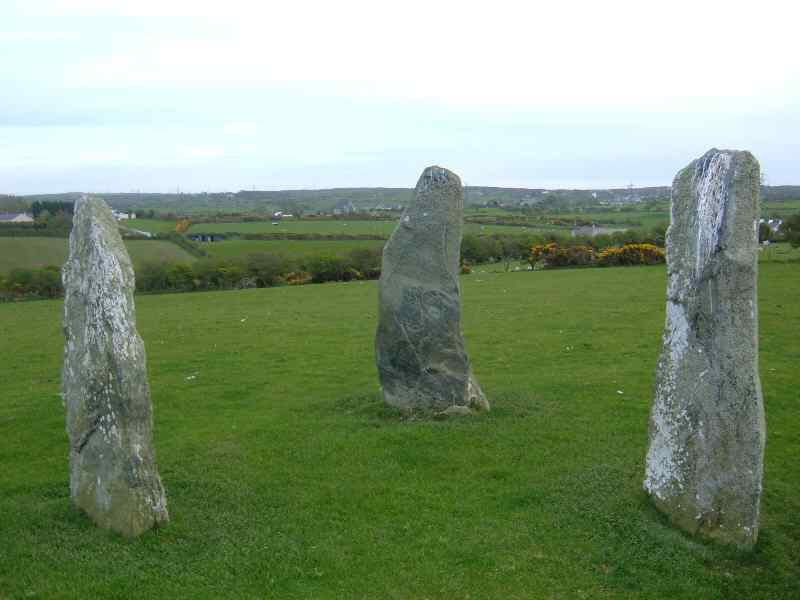 This amazing triplet of standing stones is on a farm named Foel Fawr in the village of Llanfechell on Anglesey. They stand on the brow of a small hillock on the edge of a farmers field, and are in such a position that they may be seen from any field below. Two of the stones stand about 7 feet tall, whilst the remaining stone is about 6 feet tall. They are approximately 3 feet at their widest.